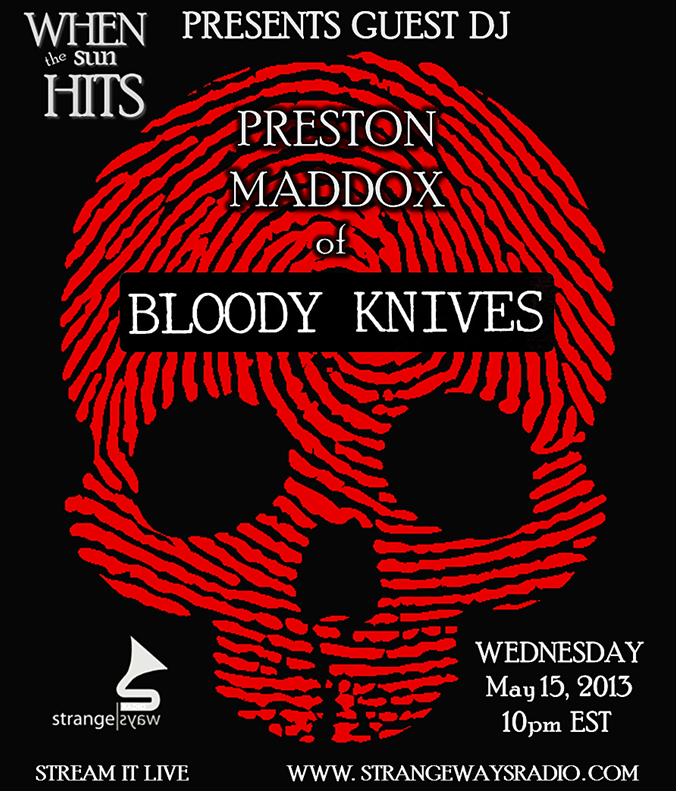 Set List for WTSH on Strangeways Radio. Originally Aired May 29th, 2013. Chromatics. Back From the Grave. A Flock of Seagulls. Space Age Love Song. Wild Nothing. Oceans Repeating (Big Eyed Girl). 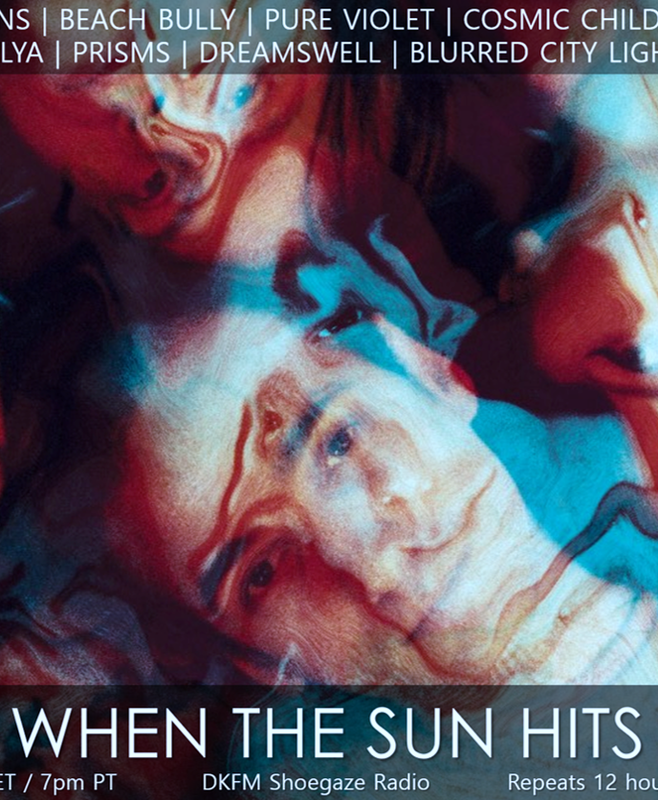 Echo & the Bunnymen. Crystal Days. Built to Spill. Time Trap. The Stone Roses. I Wanna Be Adored. WTSH Classic Trax Archive: Teenage Filmstars. Apple. 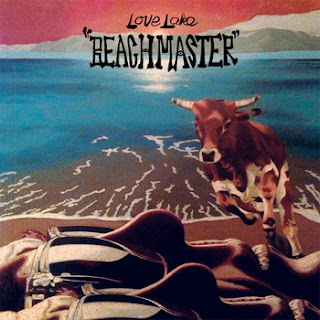 Bandcamp Track of the Day: Love Lake. Neon Lights. News: Daybehavior (feat. Julian Brandt) Releases New Single & Video - For a Thousand Years. Daybehavior announces the release of new single “For a Thousand Years” - the song is a duet with longtime popster Julian Brandt. 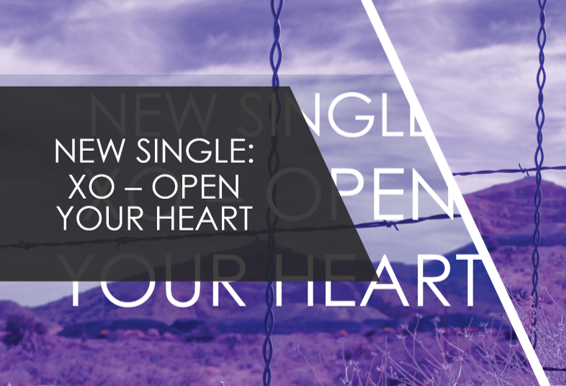 The single is now available for download in all major stores such as iTunes, Amazon and Spotify. Old fashion CD’s available from the Daybehavior Store - ALL CD’s purchased from the Daybehavior Store are autographed by the band! A video of “For a Thousand Years” is now up on YouTube as well. TONIGHT! WTSH on Strangeways Radio. 10pm EST/9pm CST. “Muffhead” is a demo track with a billowing, classic shoegaze sound from Jaguwar, a Dresden trio less than a year old who have already managed an EP and supporting slots for Japandroids, Tamaryn, and Megaphonic Thrift. 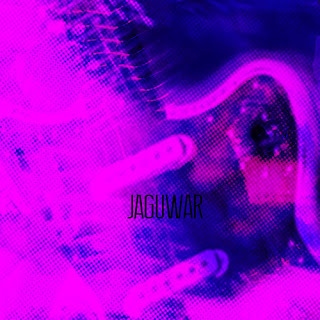 JAGUWAR formed in summer 2012 under the starsigns of shoegaze and noisepop music. Three whatevers start philosophising about finding a soundshape which is blended by walls of guitars but even sparkled with sweet purple stars. By losing all their money in buying tons of amps, effects, guitars and my bloody valentine vinyls, they left home to play every gig they could. the shape of a fender Jaguar. the beatles on a spacemen 3 show. 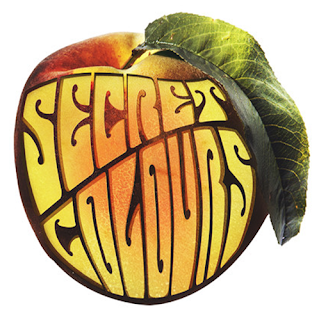 New Single (Freak) & Video (Blackhole) from Secret Colours. New LP Peach Released May 28. Chicago psyche-drone quartet Secret Colours dropped their sophomore full-length Peach on May 28th in all major formats, including cassette. Esquire’s culture blog has voiced the expectation that this release will propel the band “to the front line of [the] burgeoning psych revival” while noting the prominence of the band’s 90's shoegaze influences on the new record. Both tracks appear on Peach. Set List for WTSH feat. 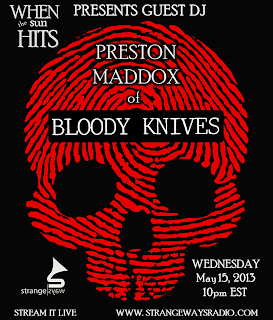 Guest DJ Preston Maddox of Bloody Knives on Strangeways Radio. Aired May15, 2013. Siouxsie and the Banshees. Spellbound. The Jesus and Mary Chain. The Living End. My Bloody Valentine. Lose My Breath. Pure X. Things in My Head. Me You Us Them .iQuit. New Canyons. Ghost and Water. Crystal Castles. Wrath of God. Cocteau Twins. Heaven or Las Vegas. WTSH Classic Trax Archive: The Naked Souls. White Rabbit. 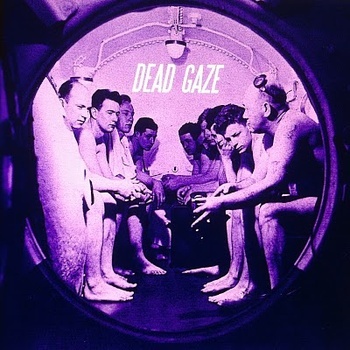 Bandcamp Track of the Day: Dead Gaze. Take Me Home or I Die Alone. Cross-posted from This Is That Song blog: Never Go Away by Drowner. "Never Go Away" by Drowner. If you only listen to one song today, make it “Never Go Away” by Drowner (2012, from the Drowner EP). Drowner is a dream-pop/post-rock/shoegaze quartet from Houston. They’ve been around for only a couple of years, and they’re one of the emerging bands on the shoegaze and dream-pop label Saint Marie Records. Although this song didn’t specifically come from the mailbag, my introduction to that Fort Worth, Texas-based label was because of a mailbag submission a couple of weeks ago. Since then, I’ve been loopy for that label and its amazing roster of bands. Note the major vintage synth action on this clip, including Korg, Moog, and Sequential Circuits classics. Teen have called their music “psychedelic gospel.” Their debut full-length, In Limbo, released last fall on Carpark, employed the assistance of Spaceman 3’s Peter Kember in mixing and production. Three of this all-female Brooklyn quartet’s members are sisters: Kristina “Teeny” Lieberson on guitar, keys, and vocals; Lizzie Lieberson on keys and vocals; and Katherine Lieberson on drums and vocals. 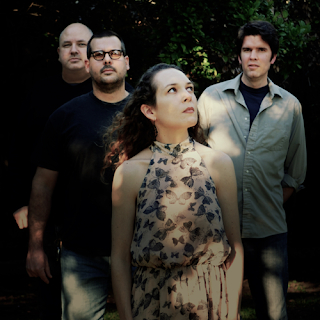 They are are joined by longtime friend Jane Herships on bass and vocals. Also check out last summer’s grimly psychedelic and completely amazing video for “Electric”.